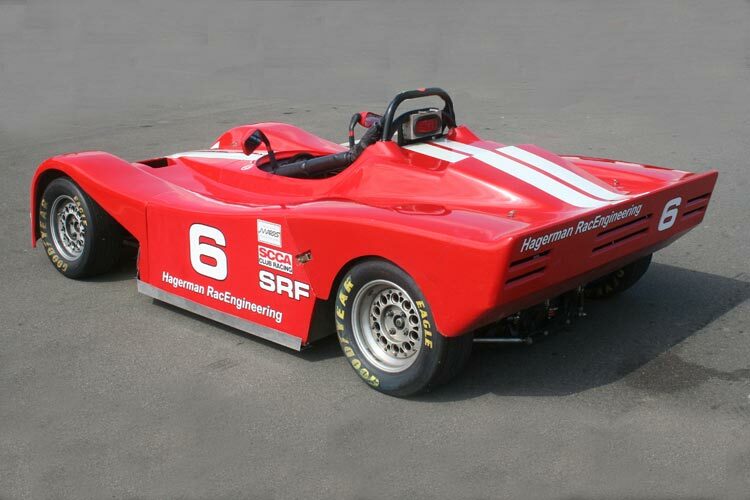 The Spec Racer Ford is a one-design, fixed-specification race car; thus the name “Spec Racer”. 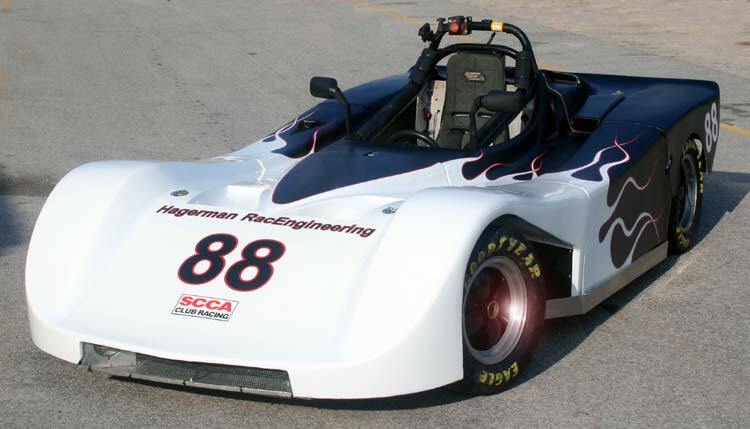 Critical chassis parts must be only those produced by the vehicle kit manufacturer, SCCA Enterprises. The engines, transmissions, and shock absorbers are sealed by SCCA Enterprises to ensure that each of these components is the same for all competitors. Engine assembly and rebuild can only be performed by SCCA Enterprises, who ensure that every engine leaving their shop is within a 2-horsepower window. With each car in the race being virtually identical, the emphasis is placed on driver skill and not on the latest trick components. Close racing is guaranteed, since no one competitor has a large performance advantage. The cost of racing is also dramatically reduced, since standard parts can be mass-produced and do not change over time. 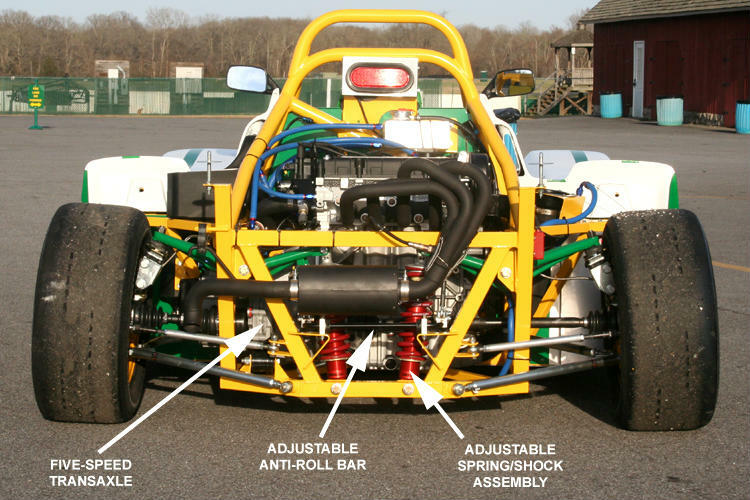 This philosophy of stable design and equal competition has resulted in the Spec Racer Ford becoming one of the most popular categories of racing in the SCCA, with as many as 2,000 racers participating nationwide each year. Over 900 cars have been delivered over the past 30 years, with new units continuing to expand the class each year. 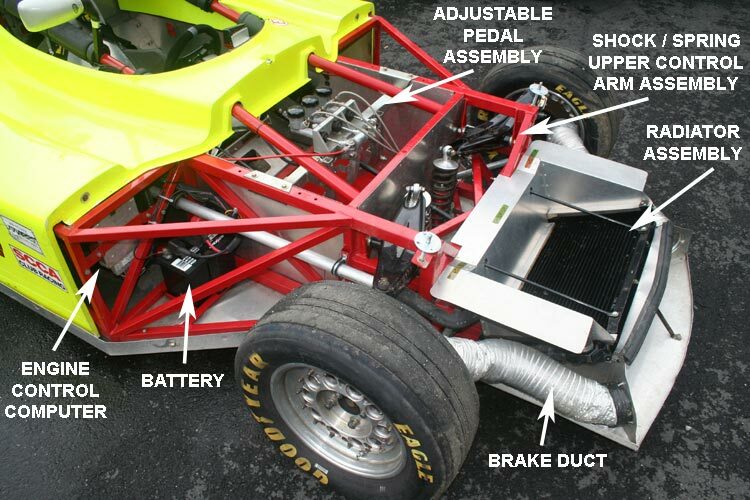 The Spec Racer is an enclosed-wheel, open-cockpit, mid-engine, purpose-built race car. 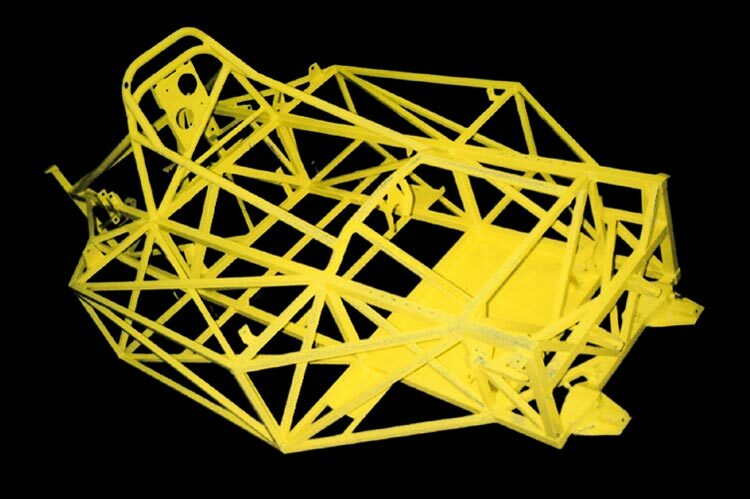 The chassis is a steel tube frame with fully-independent suspension, and with the driver centered in the cockpit. The body is a three-piece fiberglass design having tightly-controlled dimensions. Tires must be Hoosier SRF-branded racing tires, with one model for dry track conditions and one model for rain races. When the car debuted in the 1980s as the “Sports Renault”, it was powered by a 1.7 liter Renault engine. 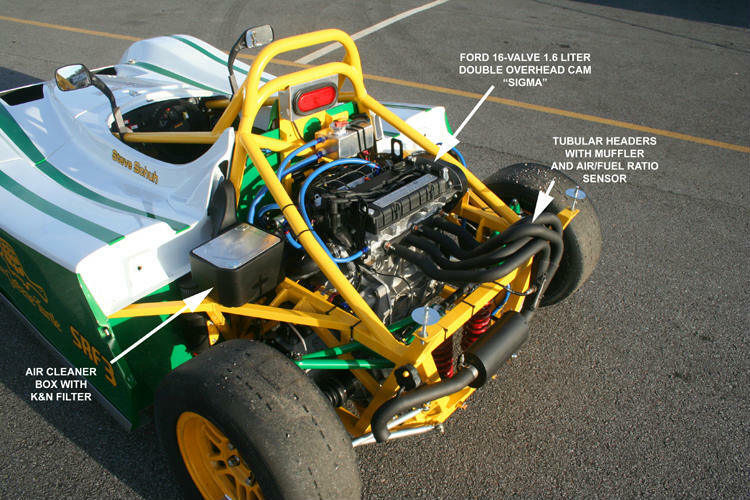 Starting in 1993, the car officially became a Spec Racer Ford (SRF) with the introduction of a 1.9 liter single-overhead cam Ford four cylinder. The third and latest generation of engines was introduced in 2015, with a Ford twin-cam four-valve 1.6 liter “Sigma”; the new car is called a Spec Racer Ford GEN3 (SRF3). This new engine provides approximately a 24 HP boost over the 1.9 liter, as well as an overall car weight reduction of 110 pounds. The SRF3 and SRF currently run as two separate National classes until the end of 2017, when the SRF will be designated as a Regional class only. The suspension uses rocker-arm-actuated springs and shocks, with adjustable front and rear swaybars. The four shock absorbers are sealed, rebound-adjustable Penske gas monotube units. Camber, caster, toe, ride height, and corner weights are fully adjustable. Steering is rack and pinion. Data acquisition and cockpit instruments are fundamentally unrestricted, as long as they have no part in controlling vehicle systems. On the SRF3, competitors can download engine data directly from the Engine Control Unit, enabling review of several parameters including RPM, water and oil temperatures, and throttle position. Site design and hosting by Shults Dot Com. Copyright © 2001-2016 Hagerman RacEngineering. All rights reserved.